The Daily Treasure Devotion is a wonderful tool for beginning your day. For each day of the month, there is something to motivate you and inspire you into a glorious life.Everyday you are alive is an opportunity to become your dream, to achieve your destiny, to meet people of opportunity, to arise and shine before the world. But what we know of our self contributes to how we feel and how we behave in the day and moment of opportunity. 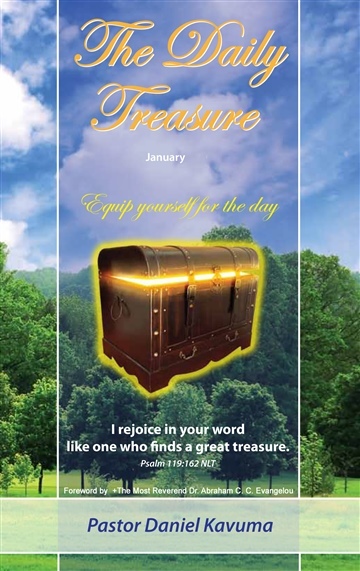 Let the Daily Treasure equip and empower you for that moment as you read it everyday. Discover yourself through this devotion; it is what you know about you that blesses your life.